meron kayang "flaw" sa narrative na tinahi ng "EDSA coalition" tungkol sa Martial Law? I write at a time of deep anguish for our people. And so I shall not burden you with undue sentiment. I shall go straight to the point. You and I were called by Providence to serve at a turning point in our history. Our call to service was unique. We had sought our people’s vote in an election, but they gave us something more in a bloodless revolution that was to astound the world. At EDSA, we forged a covenant with God, country and people. I have tried to live by the covenant. Because of it, I have kept faith with your presidency, even when it was not possible to discern its purpose. Like many concerned Filipinos, I too had my doubts. But the ardent hopes rekindled at EDSA made me decide to give you my best arm to help you lead our people to better times. But it did not work out that way. And so after temporizing for 18 months, I was compelled to resign as Secretary of Foreign Affairs on September 8, 1987. At that point, ‘fundamental differences’ had grown between us that went ‘to the very roots of political beliefs and moral principles which determine our conduct and performance as ‘servants of the people’s will and the people’s well being.’ Indeed, we seemed to stand on opposite sides of the ideological conflict. But seeing the possible harm that our sudden separation then could inflict upon the nation, I decided at my own expense, to mute these differences and to hold my peace. I did not join the opposition. Now I feel I must write this letter to you and I do so with a heavy heart. For you and I have gone through much hardship and danger together in our lonely fight to restore democracy in our country—and there are feelings, thoughts and memories that press for utterance. But the true state of the nation must be told. And the painful truth is that the nation has gone from bad to worse, while you choose to stand aside in the puerile hope that the problems would simply solve themselves. The ‘new moral order’ to which we were solemnly committed has been perverted. It has become a haven for assassins and a den of thieves. Corruption, betrayal of the public trust and other high crimes have been laid at your door, including a complaint for impeachment, which your chief ally in Congress has already consigned to the archives. We promised our people morality and decency in government. What do we have instead? The very opposite. It is now openly admitted by many, including your former Solicitor-General and some of your own close relatives in Congress, that the stench of “accumulated garbage”—I’m quoting your own first cousin, Congressman Emigdio Tanjuatco, Jr. —rises to high heaven; that the past years of Marcos are now beginning to look no worse than your first two years in office. And the reported controversies and scandals involving your closest relatives have become the object of our people’s outrage. We promised to ‘break the back’ of the insurgency. But what is the record? From 16,500 NPA regular when Marcos fell, the communists now claim an armed strength of 25,200, of which 2,500 are in Metro Manila. They have infiltrated not only the trade unions, the schools, the churches and the media but your government, above all, and now ‘affect’ 20 percent of the country’s 42,000 barangays, according to official statistics. In the fight against the insurgency, the nation, particularly our Armed Forces, expected you to provide the leadership, and to give decisive, clear and consistent orders. But you have chosen instead to behave like an innocent bystander, as though the insurgency were the sole concern of our soldiers, their widows and orphans. At the height of our people’s euphoria in in 1986, very few dared to question your unilateral decision to release the communist detainees, declare a ceasefire and hold peace talks with the National Democratic Front. But it has since become clear that these unilateral acts of yours have provided the biggest boon to the communist revolutionary movement. Yet, in your speech before the International Labor Organization (ILO) in Geneva last June, you singled out, as one of your most important achievements, your freeing of the communist detainees, with special emphasis on Jose Maria Sison, founder of the Communist Party of the Philippines. In your recent State of the Nation address you told our people that you have already broken the back of the insurgency. The truth is that the peace and order situation is much worse today than when you came into office. It is now the number one problem of the nation. From city to countryside, anarchy has spread. There is anarchy within the government, anarchy within the ruling coalesced parties, and anarchy in the streets. These require your direct intervention. Yet you continue to ignore this problem. On a number of occasions I have proposed that you convene the National Security Council and the Council of State to deliberate and, if possible, take a common stand on the many critical issues confronting the nation. You repeatedly rejected all these proposals claiming that they belong to your exclusive ‘prerogatives’ as President, and therefore you alone will decide them. You insist on holding in the hollow of your hand all your options for national survival, yet you refuse to adopt needed policies and programs that detail those options. Despite my limited access to you, which became even more limited after I left the Cabinet, I tried to focus your attention on the need for a well-defined program of government. Such a program was made available to you by UNIDO (United Nationalists Democratic Organizations) from the very start, when it made you its presidential candidate. But in total disregard of all political norms, you completely ignored the party platform, refused to acknowledge your obligations to the party that sponsored your bid for power, and tolerated all open or underhanded assaults against it. If I have held my peace until now in spite of your decision to ignore me altogether and to listen instead only to the counsel of those whose political, economic and social interests are more congruent with your own, it is because my sense of responsibility for this new government goes much farther back in time. It was I who, although already nominated for President by the UNIDO National Convention in June 1985, offered you, not a million signatures on a petition, but a solid, pre-existing political structure that would assure you of victory and a chance to fulfil the hopes and dreams of our suffering people. While I accept my share of moral responsibility for having helped place your administration in power, that responsibility must be proportionate to the actual opportunity given me to participate in the decision-making process. That opportunity was close to zero. It pains me to have to write this letter to the beloved widow of my childhood friend, Ninoy Aquino. But the truth must be told and I cannot avoid addressing this letter to a lady who happens to be President of the Philippines and who as such, cannot escape responsibility for the gross misgovernment of our Republic. Let me conclude with a trite but crucial reminder: THE COUNTRY MUST COME FIRST AND NO SACRIFICE IS TOO GREAT FOR IT! The responsibility to take the essential step to ease the nation’s suffering is yours alone and I would not wish to usurp it. But if, in your conscience, you feel you must now make the supreme sacrifice by stepping down from the presidency and call for an immediate election to enable our people to choose another leader for these critical times, I want you to know that I am ready to make that same sacrifice with you. Should you, however, choose to remain in office and continue to misgovern the nation, I will have no choice but to forthwith disassociate myself completely from your government. I will be able to serve our country better by speaking out freely for the national interest and always for the sake of truth, justice, freedom, and democracy. ever wondered why Doy was unceremoniously pushed to the side by the "EDSA coalition".................when Cory promised him the reins of government once Marcos was unseated? Celia Diaz Laurel, wife of former vice president Salvador "Doy" Laurel, remembered her late husband's legacy, as well as his disappointments, on the 28th anniversary of the EDSA People Power revolution. 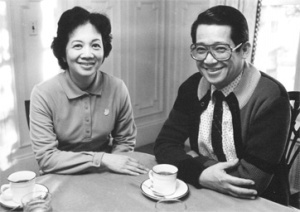 In an interview with ABS-CBN News' Jing Castaneda, Mrs. Laurel said one of her husband's biggest contributions was giving way to the presidency of Corazon Aquino, despite her promise that he would take over as prime minister once Marcos is unseated. Mrs. Laurel admitted that her husband was deeply hurt when the parliamentary government was abolished because he could no longer serve as prime minister, and a revolutionary government was installed. While Laurel went on to continue serving as Aquino's vice president, Mrs. Laurel said his husband could not function because he did not get any support. According to Mrs. Laurel, when the vice president confronted Aquino why she did not live up to her end of the deal, she reportedly said, "Because they (her advisers) told me EDSA erased all my promises." Mrs. Laurel says her husband's supporters often wondered why he acceded to this, but Mrs. Laurel said he did it for the greater good. 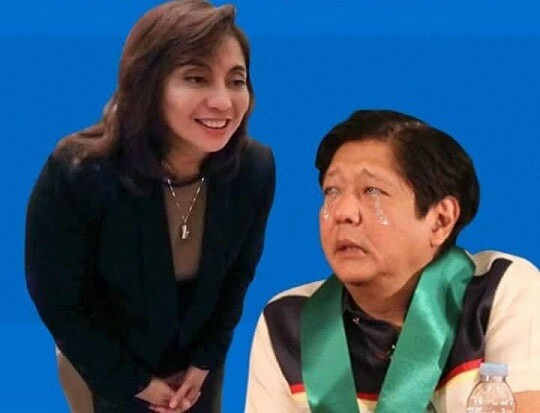 Kamusta na, VP na ba si BoBONG Marcos? Langhiya, mag tatatlong taon na, hindi pa rin VP? Ano nangyari dun sa libo libong witnesses daw? Fake? Of course. Dyan lang naman malakas yan mga Marcoses eh, mameke (ex. WW2 medals ni apo Macoy) at magnakaw (ex. pera sa Swiss accounts binalik sa gobyerno). Wala pa rin tatalo sa ka eng0tan ng mga BoBONG Marcos supporters. pangalawa lang yung mga DDS. 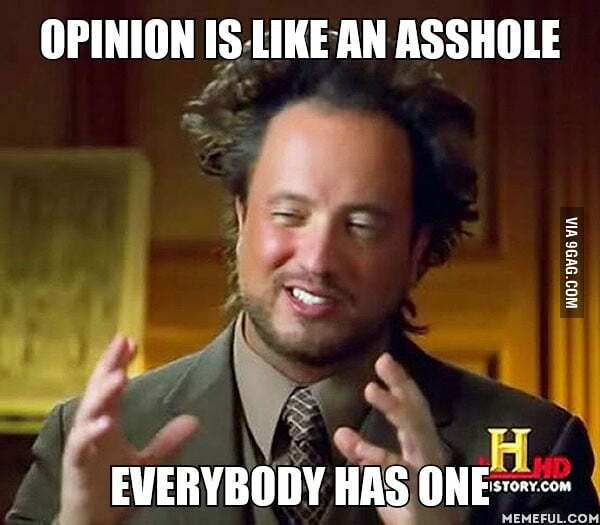 Sabagay, 99% ng mga DDS eh mga nagkukunwaring Duterte supporters pero mga BoBONG Marcos supporters talaga mga yan. Yung 1%, walang alam sa issue, sumasakay lang. Kumu kuha lang sa timing Amiga si BBM , Actibo talaga ang mga fake VP supporter ngayun dahil sa inflation. ehem....ehem... sino na VP ng pinas? yung ano diyan baka may opinyon dito, tengks! up nga natin ito, parang nag-aambisyon mag opinyon oh! DEBUNKING THE MYTH THAT CORY's 1987 CONSTITUTION "GAVE AWAY SABAH"
"...following that portion in Article I of the 1987 Constitution that says "and all other territories over which the Philippines has sovereignty", we now want to know if PH has sovereignty over Sabah... And the answer is, YES, it has... How did PH acquire sovereignty over Sabah? PH acquired sovereignty over Sabah when PH officially received the transfer of sovereignty rights from its owner, the Sultanate of Sulu, long before the 1987 Consti. Is there a law to this effect? Yes, there certainly is: Republic Act 5446. Has that law been abrogated? No, it hasn't been therefore it is still in vigour." ito ata ang katapat sa pasabog nina mang dorado at mang ileto? atsus! inuulit-ulit na naman ang mga walang sustansyang mga post niya.